We can not do it without the genorous suport from people like you. Nell was found on July 8th and turned into Twin Falls Animal Shelter. She came into our program and we soon found out that she is extremely noise sensitive. She gets along great with other dogs and most people. 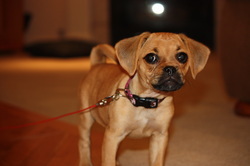 She is very high drive, loves to cuddle and chase and tug with toys on a lunge line. ADOPTED!!! Sydney found her perfect forever home and moved to Colorado! 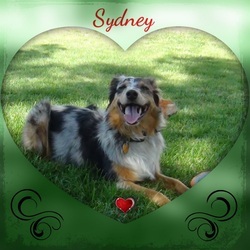 Meet Sydney our current foster dog through the Western Australian Shepherd Rescue. She has had a rough start in life and loves to find a forever home. 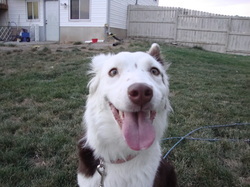 She is a 2 year old spayed female Australian Shepherd. She is great with other dogs, and once she meets people loves to cuddle. Older children are OK. She loves to play fetch with a frisbee and play tug of war. Sydney is learning to properly greet strangers and basic manners. Donations are always very appreciated. Cassie came to us on September 13th, 2013. She had a litter of puppies, seven beautiful boys, on August 27th. 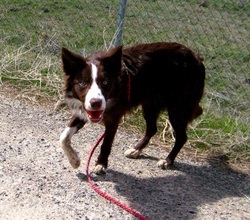 Cassie is a sweet Aussie, She listens well and is eager to please. Is great with people, dogs and does not mind cats. 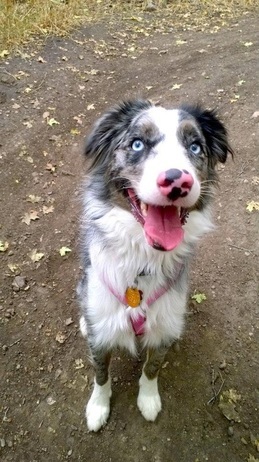 Cassie loves to fetch and go on hikes. She is approximately 18 months old. 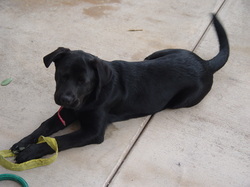 Cassie has been adopted and is living with one of her puppies in Colorado. Carly! She came to us from Twin Falls Animal Shelter. The most perfect dog I have ever fostered. She lives with a family in Salt Lake City. Red & White Border Collie, female, born July 14th, 2012. Adopted!!! Watch her video being on sheep the first time. Youtube! She was an owner surrender. 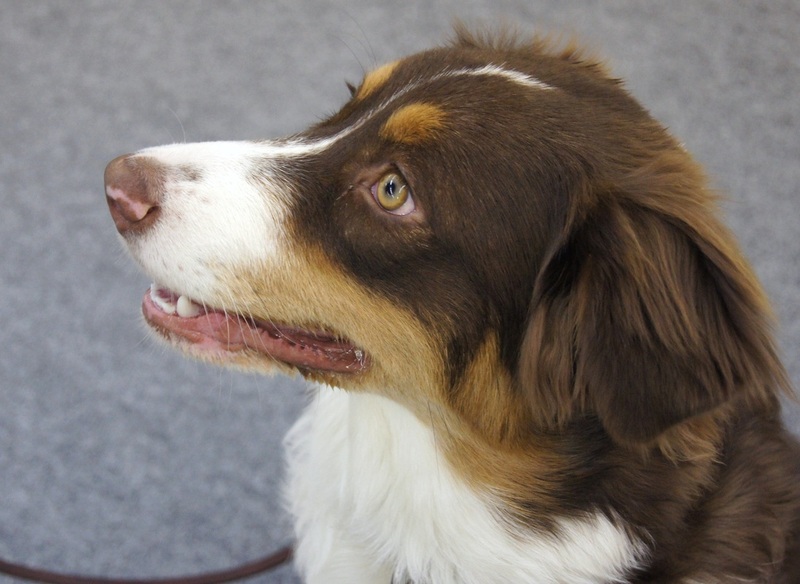 Mocha is an active little Aussie and needed a lot of attention. She has been adopted and is living in Wyoming with a family and their other dog. Lab/Pointer mixPongo was abandoned at a Shopping Center Parking lot at the tender age of 5 weeks. old. He was rescued by a good Samaritan and entered into our program until he was 4 months old. He was adopted by a family who has another dog who enjoys having a younger brother to play with. 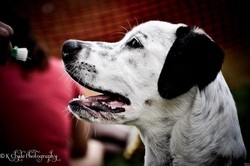 Pongo has found his forever home and is very happy. He currently lives in West Valley. Look at this handsome young man. Harvey was a stray the ended up at the WVC Shelter. He was only about 7 months old and needed an urgent groom. K-9 Cuts and Boutique offered to help out and did an amazing job. He was adopted, changed his name to Harley and lives with his sister, a Coton Tulear in Salt Lake City. Look at this amazing little survivor. His rough start in live did not hold him back from becoming a companion dog. He fought hard to overcome starvation and health issues. He loves other dogs and learned to trust people. He is now living in a forever home in the Park City area. 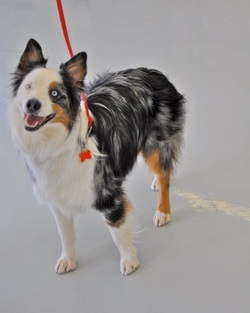 Bingo was a beautiful Blue Merle Aussie on death row, for nipping a child, before he was transferred to a rescue. He needed an active home with a playmate and someone who was able to give him the time to exercise and train him. After he went through our training program he was placed with a family that gave him all that and a brother his age. he currently lives in Ogden. Buddy was a stray that ended up on death row in a Salt Lake City Shelter. He ended up with Canines with a Cause and needed a place to stay in a home setting. He was adopted by a family who also had adopted another dog from the same rescue earlier that year. He currently lives in West Valley City. 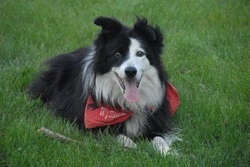 This is Buddy a 14 year old Border Collie who was found as a stray and ended up at the WVC Shelter. He was in need of a groom and a place to sleep. Bailey and Rydge were his best friends while staying with us. 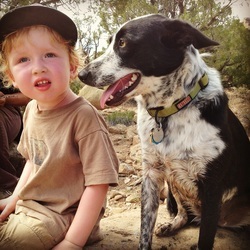 He was in our program for only a week until he moved on to the Western Border Collie Rescue where he found his permanent home. Chloe, the Pug/Beagle mix, was surrendered by her owner who was unable to meet her needs. She entered our training program for six weeks to help her with her fear reactivity towards dogs and people. She also learned Basic Manners and was ready to go to her new home within six weeks. She currently lives in Bountiful. Monty was a 2 year old Toy Poodle who was surrendered by his family after they lost their home. He found a new family with two young girls who adore him. He currently lives in Salt Lake City. Walter the Whippet. He was one of our transfer dogs and found a loving home through the Whippet Rescue. This Black Beauty was found as a stray puppy on a busy road and ended up in our program to start her on basic puppy manners. She was adopted by a family with two older children and another dog that was a great big brother to her. She currently lives in Southern California.